Naruto Storm 4 – DLC Scenario Packs: Why Shikamaru and Gaara? Well since the rumored leak of Storm 4 DLC packs has come, there’ve been questions and concerns about why CC2/Bandai Namco would decide to choose Shikamaru and Gaara for the game’s Extra Scenario tales. If you aren’t aware of what an Extra Scenario is, it’s basically a Fragment chapter, similar to Fragments in Storm 3. Fans are complaining that CC2/Bandai Namco should have done something cooler for the Extra Scenarios, like Boruto or the Last Movie (some have even called for Naruto Gaiden) scenarios to be included. Why would they choose to waste this opportunity on two characters that don’t really get any shine, like Gaara and Shikamaru? Well, there might actually be a good reason. Remember those books? No, not the manga that you’ve been reading since you were way younger, I mean those novels that released after Naruto was over. No? Not much of a novel reader eh? Not enough pictures? I feel you, I can’t act like I’ve read them all either, however I did my research for this article, and that included a little bit of evil dark magic. Yes folks, I read…. and that hurt me really badly, but in reading, I quickly realized something that might excite each of you. The Scenario packs in each DLC, might be based off of the Shikamaru and Gaara novels! Game content being based off of novels! Blasphemy! Right? Shikamaru Hiden – Shikamaru reflects on his life, and wonders how he managed to become such a busy person when he really just wants to lay down and watch the clouds. An ink bird flies into Kakashi’s office, and it has information on a mission that Sai and several Anbu were sent on. Young men from every village are disappearing, and it seems like the leader of the Mysterious Land of Silence, a country of Samurai is somehow compelling these men to join his cause. 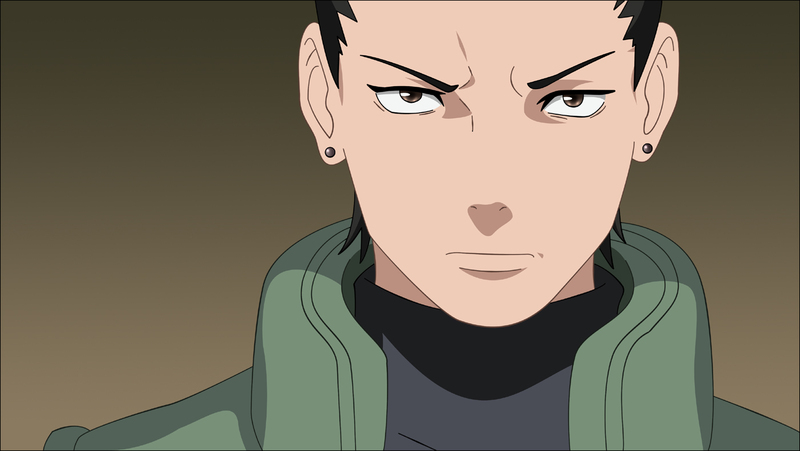 To prevent a war between the Ninja Alliance and the Land of Silence, Shikamaru is sent to assassinate the figure at the head of these weird events. Gaara Hiden – Love is in the air in Gaara’s Family, as Temari is scheduled to marry Shikamaru. This causes some political issues, and the Suna Council wishes for Gaara to marry someone as well, and introduces him to Hakuto. As the two share conversation, Gaara seems to actually enjoy the conversation, but then chaos strikes the village. The events that follow lead Gaara on twists and turns in the narrative, and it all gets worse when several ninja attempt to remove Gaara from his seat as Kazekage, and replace him with Kankuro! See? Both of these stories are very unique, and could definitely fit into the world of Naruto Storm. They aren’t as luxurious as fighting Alien Ototsuki’s, but they each have their own charm, and each serve as interesting stories that take place after the Ninja World War. We don’t even know what content will be in the game. 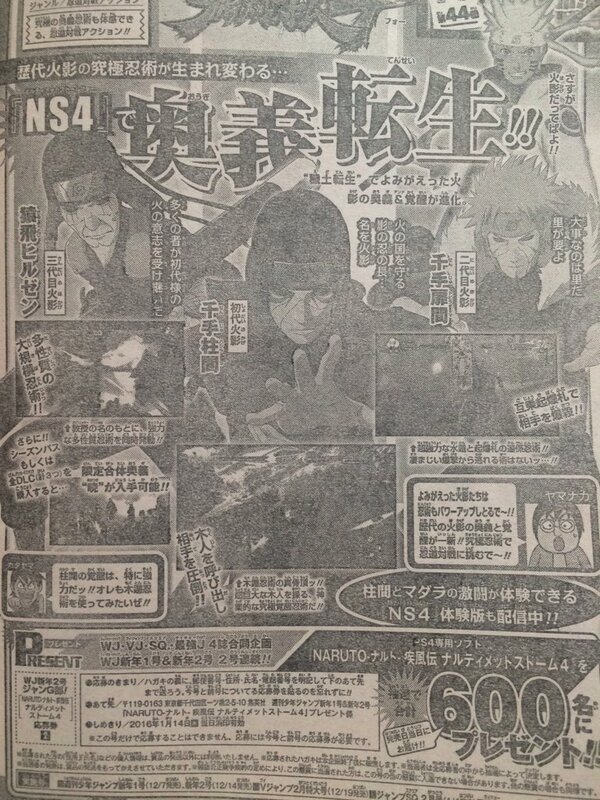 Naruto Storm games tend to have fragment chapters already in the game, so we could very well see a Boruto or The Last scenario by the time we finish the adventure mode. We’ll know all of this soon, as the game releases is two months, but for now, let’s all try to get onboard with the idea that having a Shikamaru & Gaara Hiden extra scenario, really wouldn’t be the worst thing ever! Nice explaining about the Hiden’s in this article Fabian. I also had a hunch that the stories are based off the Hiden’s and also another hunch that if we do get more DLC past the 3 packs it’s possible they could introduce more Hiden scenario’s to us. Great that you could explain about why it could be/is Gaara and Shikamaru scenarios, perhaps it’ll give others some insight into the Hidens too and perhaps get more readers. I only really read the Kakashi Hiden so this was very informative for me, thanks man. Glad that you got some information out of it! Thanks for reading! Nice article Fabian! Thanks for the basic information. I really would love to see The Last & Boruto Scenario Packs, but these would be unique and cool as well. I hope these Scenarios also have cutscenes and stuff, and not just basic missions. Good article man, too bad the novels release schedule is so slow in the west. So far only the Kakashi one was released. Nice read,the story segments would indeed make a lot of sense if they were based off the novels.I read Kakashi’s Story recently,and found it fascinating. I would love to see how the novels would translate into the Storm engine. i think its better to experience new stories rather than relive the movies and that we know how it all ends. This is worth the money if you think about it. No? It’s all on preference. I enjoyed the thought of using adult Naruto and Adult Sasuke with leader swap against Momoshiki. this might sound weird, but i would not have liked momoshiki whatsoever. I’d much rather prefer toneri. Oh, I want him to. But I would have preferred if he was in the game. This seems very neat if the dlc was based on these books because even if you don’t get them you wouldn’t miss a major part of the main story and if you do get them they will work as a nice bonus since they would essentially animate stories that people who aren’t fond of reading to see in the game. While I haven’t read the books I have read detailed summaries of the stories of kakashi and shikamaru hiden and they were quite interesting. However, if gaara hiden and shikamaru hiden are both going to be dlc then what about kakashi hiden which was released first and takes place first in chronological order of the hiden series. Oh yes, I’ve heard about the novels. Last I heard Viz released them in English the other month. since i doubt CC2 will add the novel-only characters as playable character DLC or put them in the base game, does that mean that we’re gonna see a lot of horde battles on these DLCs? or maybe special boss-only characters? Bet after 4 months, you’re markedly disappointed. Sooner or later they’re releasing Boruto and Sarada as actual dlc with story and not just 1st print issues. They said that will not happen and after the pre-order you wont be able to get them again. Just like how the Naruto Goku costume was pre-order only. Fun fact, Shikamaru’s novel is before The Last. Gaara’s Novel is after The Last. Why is this article pretending to know what I’m thinking. The whole responsive writing thing threw me off. Only expect HQ scans from vjump. You had HQ for any Scans before. 4 months later… and Shikamaru’s scenario is about talking about the future of the hidden leaf with a light ShikaMari moment and nothing to do with the assassination. Now it looks like the Gaara pack is about him getting the kages together to discuss something… so these scenarios have VERY LITTLE to do with the books… so I’m still not seeing the use in these two as the extra fragments.